Native plants are the plants of choice for containers, home landscapes large or small, schools, places of worship, rain gardens, pollinator gardens, streetscapes and wherever people are putting in plants. As development expands, it's more important than ever to replace the natives we are losing. Our gardens can do much more than just look good! Why Plant Natives? 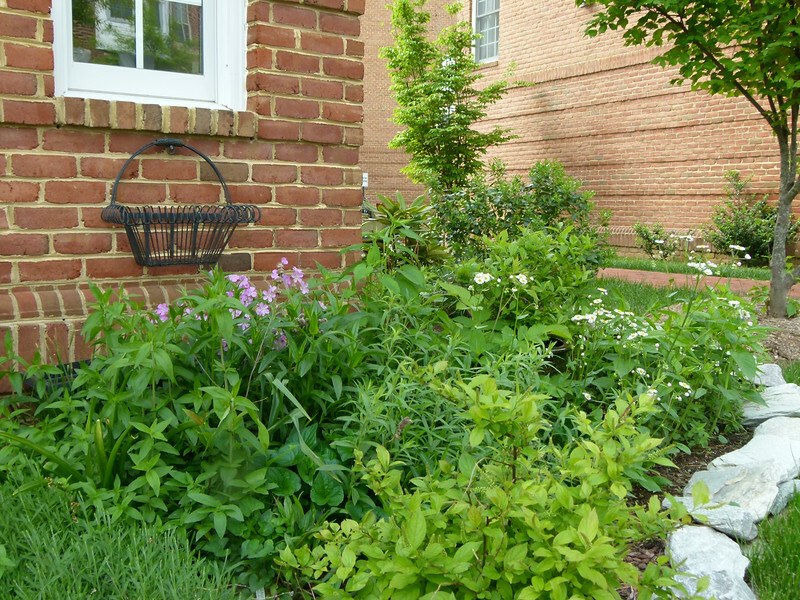 Native garden in front of small townhouse packs many varieties. Except where otherwise noted, photos on this website are licensed under a Creative Commons Attribution 4.0 International License.